An approved TNC preparatory project involving the participation of LEADER and LEADER-like groups from Hungary, Slovenia and Croatia that have come together in order to coordinate and enhance the fishing tourism offered along the Mura River. In 2006 Hungarian, Slovenian and Croatian fishing associations of the Mura River met for the first time to discuss freshwater fishing issues and possible solutions. 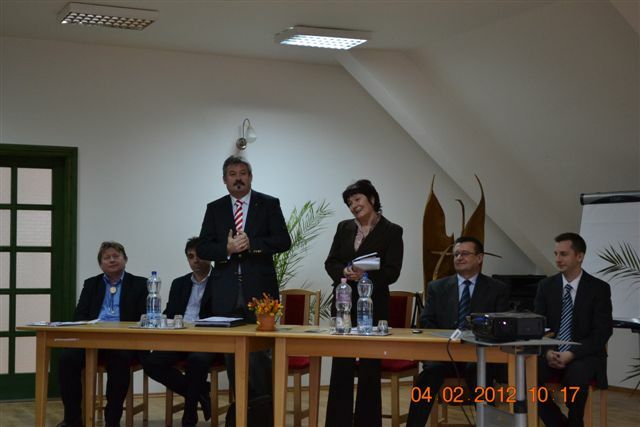 Meetings between the Kerka Fishing Association of Kerkaszentkirály, the Lendava Fishing Club and the ‘Karas’ Sports Fishing Association of Peklenica were organised on a regular basis, and led also to the compilation of a joint paper: ‘Mura binds us together’, in which the fishing associations summarised their cooperation ideas. The overall objective is to link adjacent regions across borders and to work jointly on issues connected to the fishing theme. More specifically, the partners aspire to: i) establish new/improved fishing tourism service offers; ii) identify innovative solutions linking fishing with other types of tourism, such as cultural and water sports activities and; iii) support the exchange of experiences with their Slovenian and Croatian project partners. Following approval of the TNC application partners held an opening seminar in February 2012 and started preparing a series of professional workshops. Activities will culminate in the joint organisation of the first ever 'Alps – Mura Fishing Festival', which is planned to take place in late summer. The festival will be accompanied by an exhibition of local products and a cooking competition. A final conference will ensure the capitalisation of the cooperation project's achievements and results. The project is expected to attract entrepreneurs and to support them with the development of new businesses and tourism offers. At the same time the fishing associations' involvement is going to ensure the protection of natural and cultural heritage. The local population involved in the project's formulation has high expectations from the cooperation and therefore is particularly looking forward to exchange of experiences and best practices with the members of the partner fishing associations. According to the Kerka Fishing Association of Kerkaszentkirályi the participation of its local people demonstrates how importantly voluntary work contributes to the improvement of the surroundings of the Mura and Kerka rivers. The project also provided evidence that closer relationships between rural and urban areas have developed, since 1) the majority of fishing enthusiast are city dwellers, and; 2) more and more women show interest in fishing. The Hungarian LAG 'Zala Zöld Szíve Vidékfejlesztési Egyesület', in the Nyugat-Dunántúli region, is the lead partner of this cooperation project, while the other two partners are two NGOs, the Ribiska druzina Lendava from Slovenia and the Sportno ribolovno drustvo in Karas, Croatia. The two NGOs are LEADER-like in terms of their structure and way of working.